A University of North Carolina at Chapel Hill study that was published on April 4 in the journal Stem Cells sheds light on the mechanisms of human stem cell biology. For the first time, UNC Chapel Hill science researchers have isolated adult stem cells from human intestinal tissue. According to News Medical, the feat will enable researchers to investigate new ways of treating inflammatory bowel disease and lessen the side effects of chemotherapy and radiation therapy, which often have harmful effects on the stomach. "Not having these cells to study has been a significant roadblock to research," said Scott T. Magness, PhD, senior study author and assistant professor at UNC Chapel Hill. "Until now, we have not had the technology to isolate and study these stem cells - now we have to tools to start solving many of these problems." Previously, researchers had resorted to studying stem cells in mice. While they were able to make progress in the field, the inability to isolate human stem cells from intestinal tissue and the differences between human and mouse stem cell biology prevented researchers from exploring new therapies for human afflictions. Over the course of the study, researchers discovered they could not only isolate human stem cells from intestinal tissue, but they could actually separate different sorts of intestinal stem cells from each other. "Now that we have been able to do this, the next step is to carefully characterize these populations to assess their potential," said Magness. "Can we expand these cells outside of the body to potentially provide a cell source for therapy? Can we use these for tissue engineering? Or to take it to the extreme, can we genetically modify these cells to cure inborn genetic disorders or inflammatory bowel disease? Those are some questions that we are going to explore in the future." In addition to the University of North Carolina at Chapel Hill making groundbreaking progress in stem cell research, the school is a very well-funded market for laboratory equipment sales, according to recent NIH and NSF research funding statistics. In 2012, the university was awarded $367.8 million from the NIH. The life science departments awarded funding span a number of different disciplines, and the school received 829 awards in total. In 2011, the NIH ranked the University of North Carolina at Chapel Hill 13th in the country for direct plus indirect costs in the life sciences, excluding R&D contracts and ARRA awards, making the total $339.5 million. 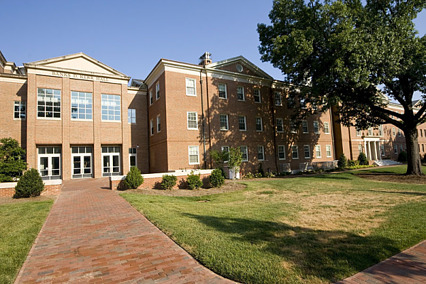 The University of North Carolina at Chapel Hill also received $38.8 million in research funding from the NSF in 2012. Of the funding, $11.5 million went to life science departments alone. The life science projects receiving funding varied from bio informatics, plant genome research, evolutionary processes, physiology and structural systems, global systems science, genetic mechanisms, systems and synthetic biology, molecular biophysics, cellular dynamics and function, and developmental systems. In 2010, the NSF ranked the University of North Carolina at Chapel Hill 11th in the country for total R&D expenditures in the life sciences. UNC Chapel Hill spent $592.9 million that year. In total, the University of North Carolina at Chapel Hill received $406.6 million in research funding from the NIH and NSF. Given these research funding statistics, biotechnology vendors and lab suppliers may want to learn more about the laboratory equipment sales market at the University of North Carolina at Chapel Hill. Biotechnology Calendar, Inc. invites all researchers and vendors in the life sciences interested in networking with others in the field at UNC Chapel Hill to attend our annual Chapel Hill BioResearch Product Faire™ Event on May 8, 2013. Biotechnology Calendar, Inc. is a full-service science research marketing and events-planning company that has been organizing trade shows at top research institutions across the country for 20 years. To learn more about University of North Carolina at Chapel Hill funding statistics, click on the button below. If you are interested in networking within another laboratory equipment sales market closer to home, we encourage you to check out our 2013 calendar of events.